I know this ain't news anymore because everybody's been waiting to announce it for oohh... well over 12 years now, so I just waited till everybody else finished freaking out. 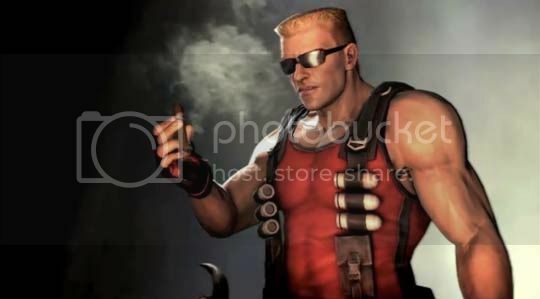 Duke Nukem Forever is set to be released on May 3rd (May 6th worldwide) to us puny humans who love to see all that testosterone destroy alien invaders. If you don't know what the fuss is about over this game, Duke Nukem was supposed to be released a decade ago more like 12 years to be exact but it got hosed down because the developers had problems with what the game should look and feel like. Luckily Gearbox picked it up and continued developing the game. Now they're going to make a ton of money. The video after the break is probably the funniest video game trailer I've seen to date. Too bad it's censored.